Green is great, but strength is what stands the test of time. Turns out, when up against other timbers, bamboo shoots above and beyond. The high silica content in bamboo fibers make the material difficult for termites to digest. Forests cover 31% of all Earth’s land. Every year 22 million acres of forested land is lost. 1.6 billion people’s livelihoods depend on forests. Trees used for timber take 30 to 50 years to regenerate to their full mass, whereas one bamboo plant can be harvested every 3 to 7 years. Forests around the world have felt the affects of human demand for lumber and paper goods. Deforestation has dealt an especially heavy blow to Earth’s largest tree, the California redwood. For almost 100 years, national and state parks in California have been working to protect 45% of the world’s remaining old-growth redwood trees. 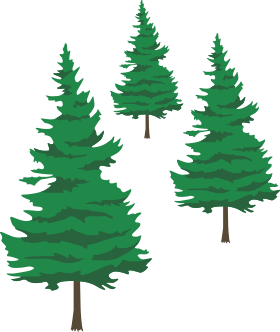 “Old-growth” refers to the forests that are considered ancient and tend to promote the most biodiversity because of their unique filtration of sunlight. 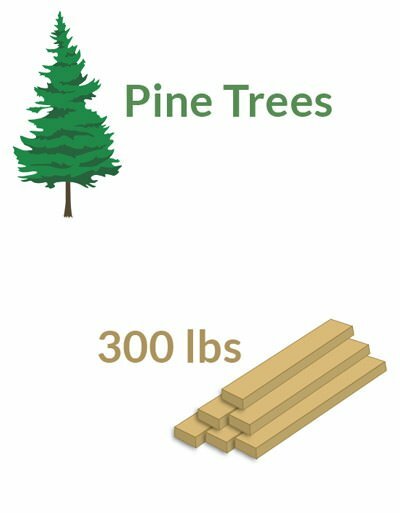 Along the California and Oregon coastlines a massive 96% of the original old-growth coast redwood trees have been logged for use in fences, furniture and construction. Many redwood lumber companies prefer using this old-growth wood because it is sturdier than the younger trees and can be given a longer warranty. However, this requires chopping down trees that have been around since the Middle Ages! 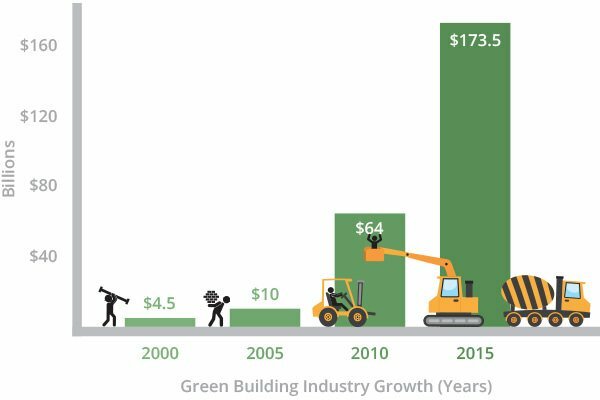 Unfortunately, a mere 4% of the original old-growth redwoods are still standing as a result of a relentless demand for lumber. Most redwoods have a 500 to 700 year lifespan, but some can live over 2000 years! Imagine destroying something that started growing in biblical times just to make a fence! 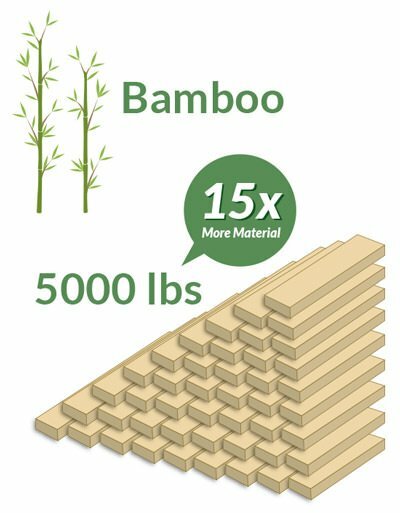 In that same amount of time, one bamboo plant – which can be continually harvested every three years — could have been cut and re-grown over 650 times. 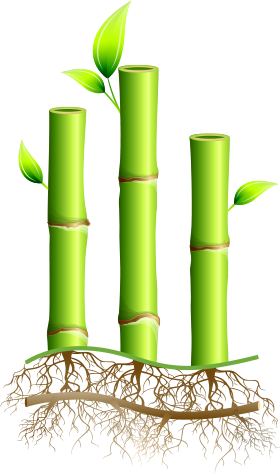 Bamboo’s incredibly thick rhizome root system helps maintain soil integrity. This prevents landslides and keeps nutrients from getting dumped into rivers and lakes where they can harm the ecosystem. The following real-life stories demonstrate just how important bamboo is in preventing dangerous erosion. Just east of Nepal and north of Bangladesh, the Bhutanese village of Ramjar had a serious erosion problem. The precious rainfall supplying their crops and drinking water had also been washing their village down the hillside, forcing small communities to abandon their homes. Today, however, a long-term project is in place to plant groves of bamboo in these troubled areas to maintain land stability. 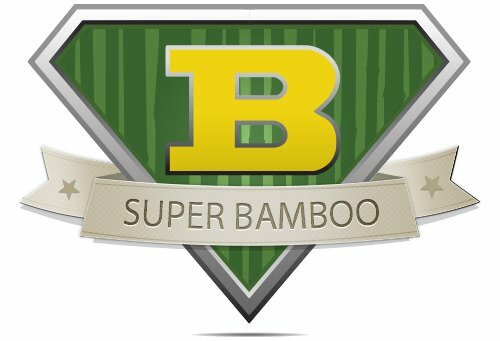 Bamboo’s dense running rhizome root system has proven to be a great way to prevent erosion – so much so that in some cases its removal can actually harm the surrounding habitat. When the city of Sandy Springs, Georgia tore out five acres of bamboo alongside the Chattahoochee River, the State Environmental Protection Division declared they were in violation of environmental rules. Without bamboo bolstering the riverbanks, the water was in danger of eutrophication – a harmful excess of chemical nutrients being released in the water from eroding soil runoff. This can severely disrupt the ecology of the river and everything living in and near it. Luckily, the city halted the bamboo removal and agreed to restore the buffer around the river.